Progressive rock bands in the Seventies regularly proposed that their music was so complex and important it deserved nothing less than orchestral interpretation. Punk then arrived and vehemently suggested otherwise. Even now, when artists from Metallica to techno DJ Jeff Mills push their music into classical auditoriums, they’re seen as flirting with pretentiousness – often with good reason. No one, however, would have expected Basement Jaxx to start barking up this particular tree. The south London duo are renowned for happily assimilating global sounds, R & B and dance-floor beats into winning pop. But joining forces with a 66-year-old Dutch light-classical orchestra might seem a step too far. 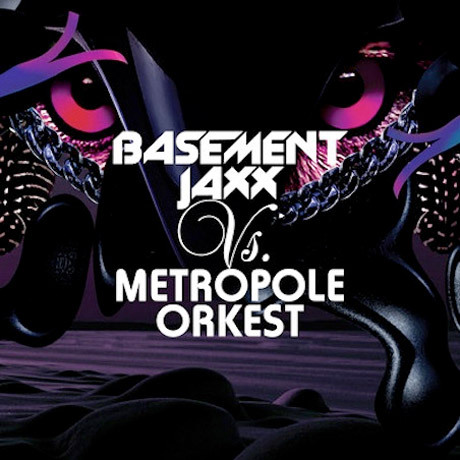 Yet over the years the Metropole Orkest have worked with everyone from Charles Aznavour to Antony and the Johnsons, and – with assistance from conductor-arranger Jules Buckley of the Heritage Orchestra – this re-imagining of songs from Basement Jaxx’s 15-year career proves deliciously fruitful. There are no high-art pretensions here. Instead, the music recollects that, before rock’n’roll, orchestral dance sounds were the pop music of their day. Do Your Thing, with its brash female vocal and percussive attack, conjures up Benny Goodman and Gene Krupa sending bobby-soxers wild with their swing-era antics. The album progresses with playful glee. The first half concentrates on cinematic-style instrumentals so that old hits such as Red Alert mutate into golden-age Hollywood soundtrack territory. By the end, with Samba Magic, things have shifted into hip-shaking, salsa-jazz party mode. Throughout, the ghost of Henry Mancini, with his ability to make twinkling orchestral music loaded with exuberance, is never far away. Cleverly, the arrangements draw attention to what richly layered songs Basement Jaxx have. Lights Go Down becomes a choral soul number while the Balkan hoedown, Hey U, wouldn’t sound out of place in the repertoire of Romanian gipsy band Taraf de Haïdouks. Worthy of special mention is Where’s Your Head At? Originally, a dance-floor banger beloved of Fatboy Slim, it’s been transformed into a wonderfully over-the-top symphony, quivering with the epic shock-pomp of Carl Orff’s Carmina Burana. While still a huge live draw, Basement Jaxx have been somewhat overlooked as a studio act in recent years. This unexpected outing is sparkling, rich, witty fun and evidence that the spotlight should rightly point back their way.